Aggression is a natural part of humanity. But now many video games only add to the violence, with their themes of murder, mayhem and war. Research shows that children continually exposed to these games could become more aggressive, themselves. And if not, they can experience a host of other negative effects, from poor social skills to obesity. Most kids can’t resist playing video games. Girls play an average of an hour per day, boys twice that, research shows. Many games entertain, educate and edify. But the multibillion-dollar video game industry also offers up new, violent ones, with even more colors, action and speed. The games’ nonstop action captivates kids. “We’re visual beings, programmed to respond to visual movement, and for good reason. In terms of evolution, in prehistoric times if you were out in the bush and something was moving, you needed to know if it was a friend or foe,” says Ken Ensroth, M.D., a psychiatrist and the medical director at Providence Child and Adolescent Psychiatry in Oregon. As it is, children younger than 4 can’t tell fact from fantasy. And it takes another 20 or more years for the full development of the brain’s cerebral cortex, the control tower for perception, awareness, thought and consciousness. Getting aggressive. “The more accustomed a child is to the violence in video games as a way to deal with conflict, the more likely he or she will behave the same way with others,” he continues. Poor social skills. So many video game hours keep a kid away from friends and family. “There’s less time to interact with people, and learn how to communicate, understand and feel empathy for others,” says Dr. Ensroth. Health risks. Sitting for long stretches day after day means you’re not exercising. Skipping meals can cause malnutrition, and eating junk food can lead to obesity. Lack of sleep is also a risk. When there’s always one more round to win, sleep might be postponed. Academic problems. Who wants to read or study when there’s a video game to play, instead? For some kids, racking up those points may become more important than homework, and then grades suffer. Fearful and anxious. Surrounded by violence, even if virtual, a child could feel as if he or she is at serious risk of being harmed. Irritable and angry. The video game characters’ aggressive emotions can rub off on a child who spends so much time with them. Unhappy and depressed. Feeling furious isn’t fun, and sour moods and a sense of sadness can take over. Tense and distracted. “Too many video games and a child can feel uncentered, and uncomfortable being with just him- or herself,” says Dr. Ensroth. Confused values. “When a video game’s good guy is as violent as the bad, a child can get mixed up regarding right and wrong,” he says. If rats could play video games there would be more studies about the effects of the violence in them. And it’s not ethical to ask humans to sit in front of a computer screen for hours, especially one flashing so many fierce images. However, one research study had parents replace their child’s video games with activities that encouraged positive social interaction with others. Researchers saw in the children decreased aggression and improved behavior, overall. Say no to video games for children under 6. Know what games your children are playing. Check store-bought game packaging for age-appropriate rating. Talk to your kids about the dangers of violent video games. Keep kids’ computers in your home’s common areas. Limit hours of non-school computer use. Encourage kids to read, make art, play outdoors and socialize. Be a good role model by not indulging in video games. Talk to teachers and your pediatrician about virtual violence. Get professional counseling for your child, if you’re concerned. The best thing is to spend supportive, quality time with your children, says Dr. Ensroth. “That’s precious, good time, and shows that you love, care and value your child.” And that’s something no video game can do. If you’re concerned about your child and virtual violence, talk to your pediatrician or child psychiatrist. 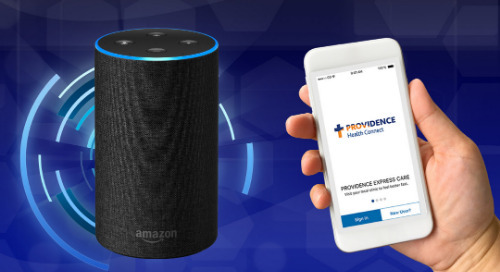 If you’d like to speak to a Providence provider, you’ll find one near you in our directory. Recent findings may point the way to new treatments – or even cures – for the disease.